In the short time since we began, we have managed to make a lot happen, and on very limited resources! However, to fulfil our dreams of reaching out to even more children right across India we need further funds. We are eternally grateful to the individuals who have already very generously helped fund our work; without them none of this would be happening. Here are some ways that you could help us to change the lives of so many more disadvantaged children in India. Songbound has just launched a Friends’ Scheme, formalising the way our UK supporters can donate. We also become a CIO (charitable incorporated organisation) in 2016, allowing us to claim Gift Aid on all donations, making your support go even further! In order to expand our activity with confidence, we are dependent upon the generous and continued support of individuals here in the UK, and so we hope you will subscribe to give a regular donation, no matter how small, through our new Friends’ Scheme. You can either DONATE HERE or download a pdf/doc below. 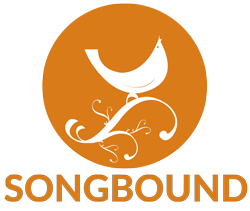 Sponsoring a Songbound choir for an entire year costs just £500. We can then employ and train a local musician to deliver our syllabus as well as covering the running costs at the school or centre. Each year our choirs come together to sing in end of term concerts and for this we arrange for musicians (local and international) to conduct workshops leading up to a lively performance in front of family, friends and the public. There are many imaginative ways that you can raise funds for Songbound. In preparation for their trip to India in 2013, the choral scholars of the Jesus College, Cambridge ran around the college quadrangle in their cassocks! Please feel free to contact us for more ideas on how to organise a fundraising event. 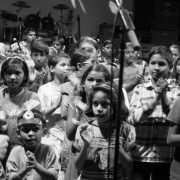 To be a Songbound Choir Leader in India you don’t need to be the world’s best singer. If you like music, can sing a tune, can laugh at yourself and like to work with children we would love to hear from you. 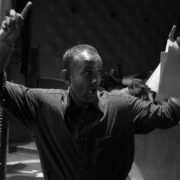 We provide all our choir leaders with ongoing training opportunities from international and local choir leading experts so that they can develop the confidence and simple techniques needed to ensure their children reap the full benefits of group singing. Many professional musicians on tour in India struggle with the sad reality of performing exclusively to a concert-going elite in the most prestigious venues. 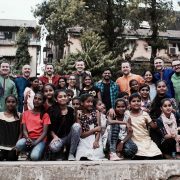 We at Songbound can provide musicians visiting India the opportunity to engage with the poverty they see daily on the streets, safe in the knowledge that their contribution will add to an ongoing programme of musical and social development in the most challenging communities. 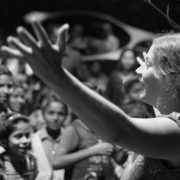 If you are a professional, student or amateur musician or a music ensemble and would like to plan an Indian tour that makes a difference, we can help design tailor-made trips which include interactive workshops and performance events with our Songbound choirs. 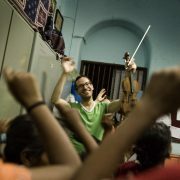 We have a number of volunteer opportunities, both in India and in the UK. Please contact us to find out more.